Mya and Hudson use the limited vocabulary of refrigerator magnets to create poems with our Wordplay Writing Club. The young writers of our Wordplay Club celebrated National Poetry Month by composing poetry with some unconventional methods. 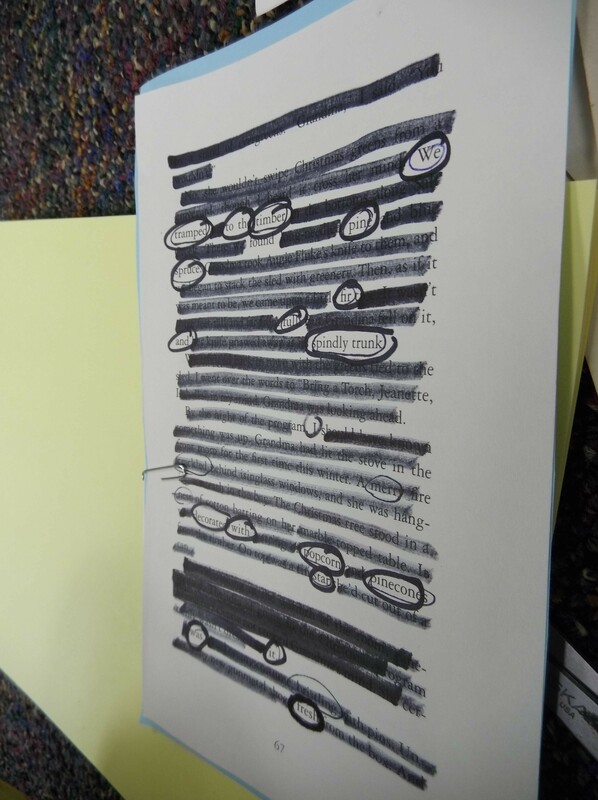 Old newspapers or damaged books are perfect source material for blackout poetry. 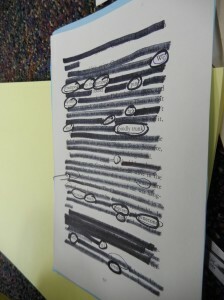 They made blackout poetry, which involves blacking out old book pages to transform them into new poems. They also used refrigerator magnets to compose poems. You can try either or both of these projects at home with your family. 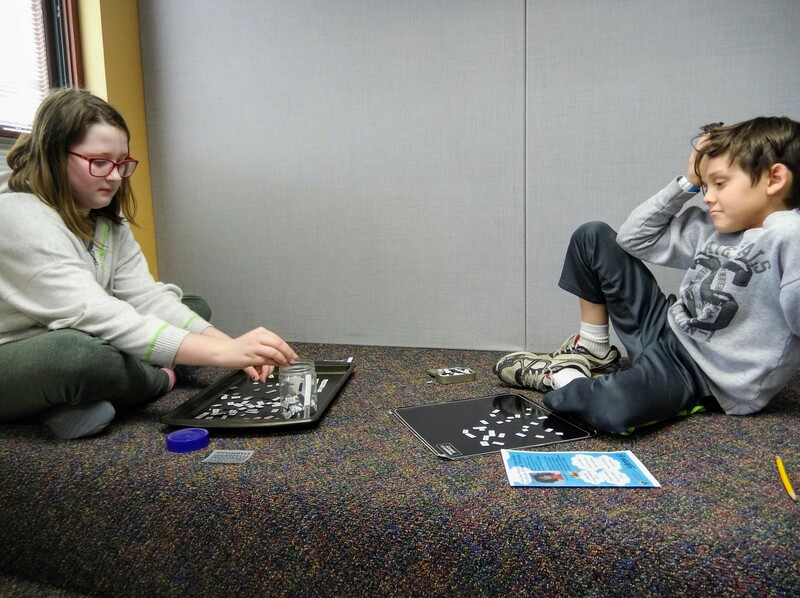 Each month, the writers in our Wordplay Club finds different ways to boost their creativity. For example, sometimes they use randomly selected words to create a story, make nature journals or scour baby books for character names. Our club is open to all writers in third through sixth grade. It meets at 4:30 p.m. on the second Wednesday of every month at our Main Branch. The next meeting is may 8. You can register your child for Wordplay by calling (440) 255-8811 ext. 221 or by visiting our website. Enjoy a new poem every day during National Poetry Month at Mentor Public Library. By the way, if you’re an aspiring author, we have hundreds of books on the art of writing that you can borrow with a library card. This entry was posted in Uncategorized and tagged National Poetry Month, poetry, Wordplay, writing. Bookmark the permalink.